Can a government wage war to kill the enemy while at the same time enforce laws against murder? The quick answer is “yes,” a soldier should not kill civilians or prisoners. But, what happens when the enemy is not wearing a uniform, and the adversary could be anyone? And, can a soldier, who is supposed to take orders, defy those orders and act on his own? (Think A Few Good Men). This 1980 film directed by Australian Bruce Beresford (Tender Mercies, Driving Miss Daisy) poses these questions in this story of three Australian soldiers on trial in 1902 for murder while fighting for the British in South Africa during the Boer War. This movie actually goes beyond the questions noted above. It really explores human nature’s dual inclinations to be civilized and also to be destructive. 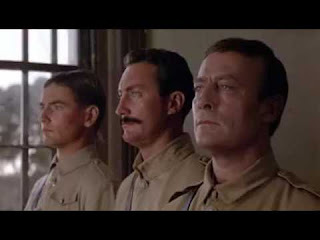 The title character is Lt. Harry “Breaker” Morant (Edward Woodward). He received his nickname for “breaking” horses. So, he takes a wild animal and domesticates it, his name indicating his desire to turn chaos into order. We learn through the course of the story that he is a poet who uses rhymes to bring structure and related patterns to word usage. He is also a singer, (symbolically showing the desire for harmony), and this fact, along with his being a poet, shows his connection to a civilized society which values art. However, during the course of the trial, we learn that he is not above the urge for vengeance. He complies with the violence inherent in war, including executing prisoners, especially after the Boers savagely kill his friend and future father-in-law. This ironic divergence in one person shows the conflicting drives in humans between barbarism and civilized behavior, which is especially tested in times of war. 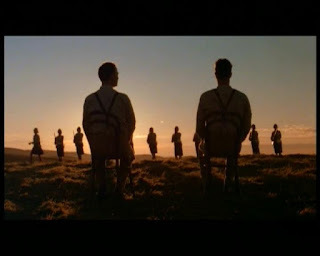 Through rituals and scene placement the film highlights the ironic contrast between the desire for order and culture in the midst of a wartime environment. 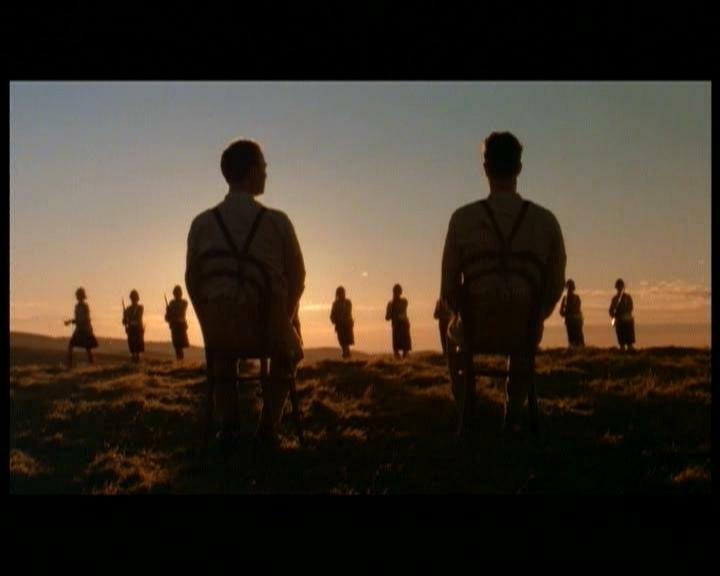 The killing of a scout is placed in counterpoint to a band playing music in the town square, again echoing the harmony of music and thus civilization at the time of the death which disrupts the local world order. When the soldiers in the battlefield settle in for the night in their tents they sing out the daily chant of “hip, hip hooray,” an ironic celebratory salute given the dire situation in which they find themselves. 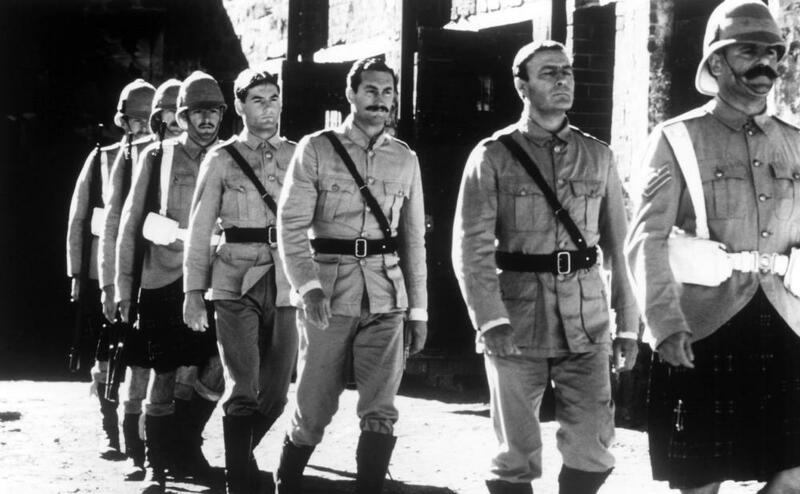 The troops marching into the courtroom, as well as the prisoners moving in formation back and forth into their cells, the saluting, along with the laws espoused in the courtroom are all undercut by the security-threatening violence of war waged around the participants. 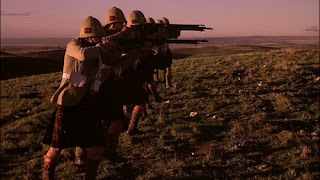 A truly ironic scene occurs when the Boers attack the camp. 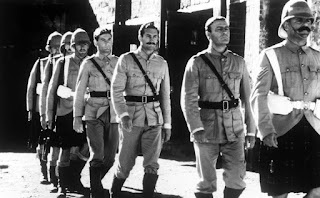 The command releases the Australian prisoners, who are charged with murdering Boers, to kill the attacking enemy, which they do with massacre-like precision using a Gatling gun, and then locks them back up for killing that same enemy. One can argue that killing someone shooting at you is self-defense and that shooting unarmed prisoners is another matter entirely. However, in this story that differentiation is blurred. The events are told in flashback. The Boers kill and mutilate the body of Captain Simon Hunt (Terence Donovan), Morant’s best friend, introducing the idea that Morant acted in revenge. (Is the killing of Hunt acceptable since he was the enemy, but is then mutilating him on the battlefield a war crime?) 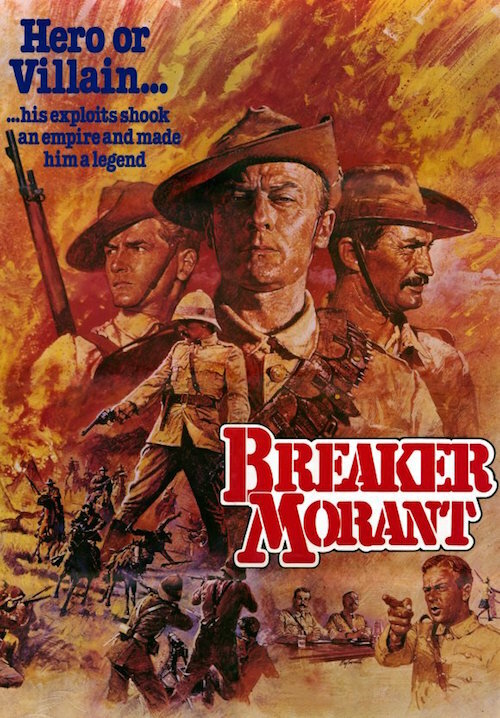 Morant says that Hunt previously killed prisoners in front of him based on the orders of Colonel Hamilton (Vincent Ball), (which originated from Lord Kitchener) who told Hunt “the gentleman’s war is over,” raising the question can there even be such a thing as a “gentleman’s war?” Bolton, the prosecutor asks Morant under what “rules of engagement” did he act under when shooting an unarmed prisoner. Again, we see the introduction of the idea of “rules” in the midst of barbaric acts. Morant’s response shows his disdain for the hypocrisy of decorum in a war zone when he says he acted under “Rule 303,” which is the caliber of his rifle. The prosecution however continues to argue the fine lines of behavior. 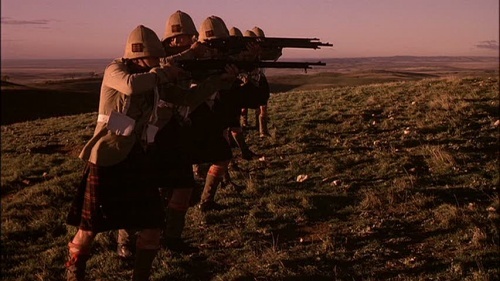 For instance, one prisoner, lined up in front of a firing squad ordered by Morant, breaks away from the formation, and attacks one of the men on trial, Witton, who shoots the Boer. This act of violence is considered acceptable, because the man, who ironically was about to be executed anyway by the firing squad, now is killed by reason of self-defense. Here, the rules change within a matter of seconds. 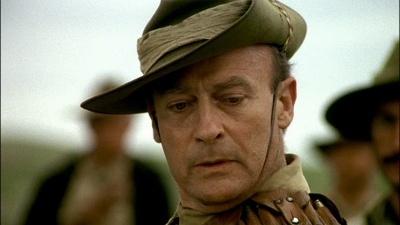 According to the other defendant, Hancock, he feels he had to adapt to the changing landscape of war in order to perform his duties as a soldier. 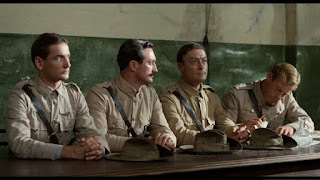 In the instance of the killing of the German missionary, the Reverend Heese, Hancock says he has an alibi since he was with two Afrikaner women at the time of the clergyman’s death, and the defense enters into evidence two affidavits from the women verifying the testimony. But, later Hancock admits to his fellow outraged inmate, Witton, that it was a lie, and he did kill Heese. The cleric was told not to speak with the other prisoners for security reasons, but did so anyway, claiming they sought religious comfort. 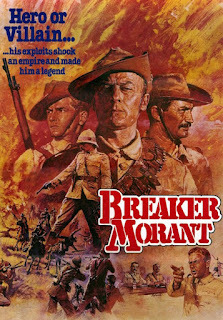 Morant believed Heese to be a Boer spy and ordered Hancock to kill him. Morant says, “It’s a new kind of war, George. A new war for a new century. I suppose this is the first time the enemy hasn’t been in uniform. They’re farmers. They come from small villages, and they shoot from behind walls and from farmhouses. 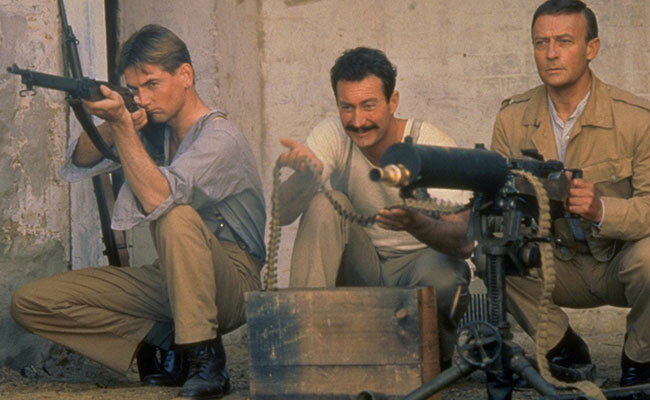 Some of them are women, some of them are children, and some of them … are missionaries, George.” Morant’s chilling words speak to us today, being relevant to the war in Vietnam and the one against terrorists, raising the question, how can one be sure who the real enemy is? Perhaps the only way to avoid having to wrestle with the difficult questions that war forces us to confront is to avoid waging it in the first place. The next film is The Revenant.